We've selected a handful of charities from around the world. Each one does the important work of spreading the promise of life-saving drugs and healthcare services to the people who need it most. Find out more about each charity organization below. Please take a moment to choose a charity by filling out your selection below. Together, we can bring the warmth of hope to patients and their families across the globe this holiday season. Based in the U.S., the U.K., the Netherlands and China, World Cancer Research Fund International is the world’s leading authority on cancer prevention research related to diet, weight and physical activity. They are a not-for-profit organization with the goal of living in a world where no one develops a preventable cancer. Their work includes creating awareness, funding research and collating global research on the link between food, nutrition, physical activity and the prevention of cancer. ADI is the federation of national Alzheimer’s associations around the world. ADI works globally to strengthen and support Alzheimer’s associations. Their focus is on raising awareness about dementia worldwide, making dementia a global health priority, empowering people with dementia and their care partners, and increasing investment in dementia research. ADI is the global voice on dementia. Foundation focuses on finding answers for patients with rare or undiagnosed diseases by linking basic science with clinical practice to increase the efficiency and inclusivity of rare disease research. Primarily working in Canada and the U.S., they are beginning to globalize their efforts with funding programs in Europe and Africa. The Rare Disease Foundation incorporates treatment-based projects, astute clinician observations, and patient and family knowledge into the various stages of rare disease research to impact the speed of discovery and the management of rare conditions. 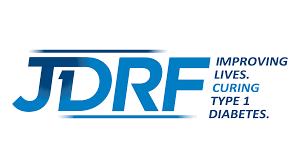 Charity* -- Please Select --Juvenile Diabetes Research Foundation (JDRF)Rare Disease FoundationWorld Cancer Research Fund InternationalAlzheimer’s Disease International Please select a charity for donation on your behalf. Comments/ Questions/ Organizations for Future Consideration? Please fill out the form below to indicate your charity of choice. To celebrate the season of giving, we’re making a special holiday donation on your behalf. It’s a tradition we started to thank you for your trust and collaboration with Covance | Chiltern and it’s something we are looking forward to again this year. Click above to view a special holiday message.